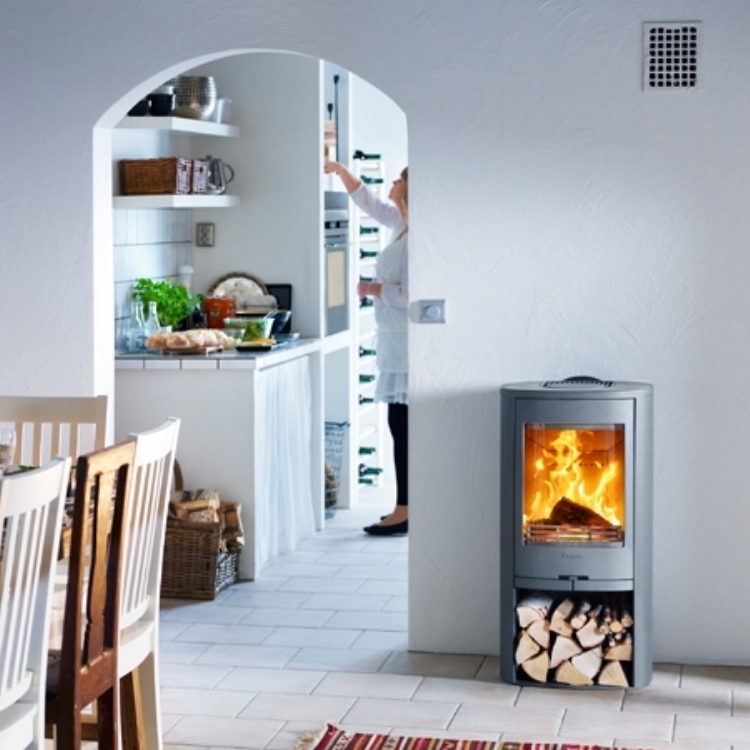 Contura 850 freestanding on a circular hearth wood burning stove installation from Kernow Fires. 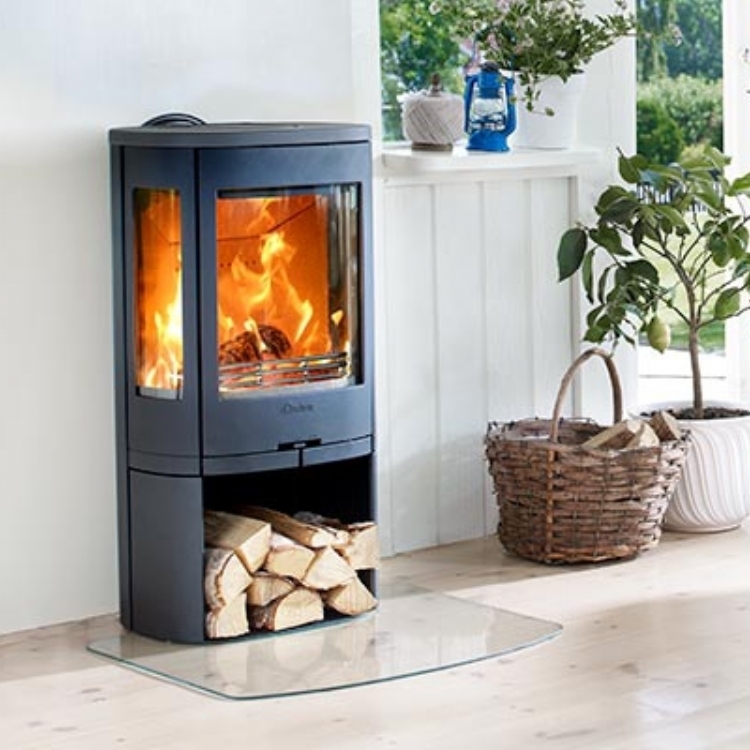 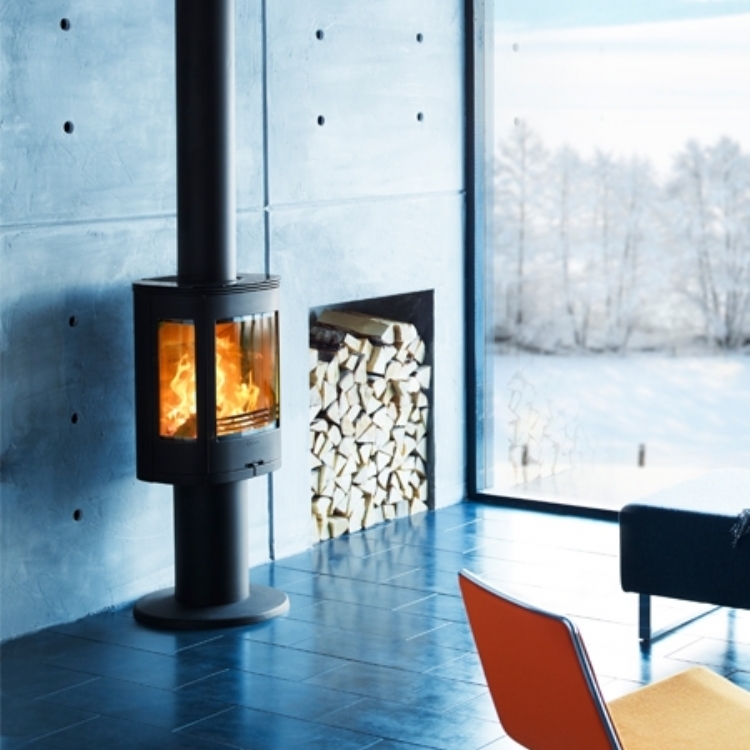 The Contura 850 in black works well in a corner situation as it has good clearances to combustibles. 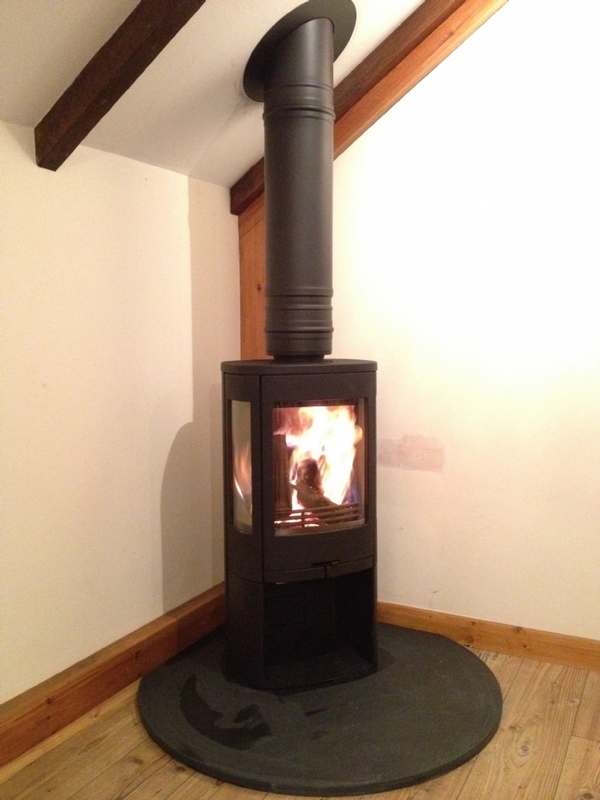 The honed slate hearth was made to size and installed by Kernow fires along with the fire and chimney system.